If you wish to study in Germany after 12th, then you must definitely be known about the Top Universities in Germany for Indian Students. German universities such as the Technical University of Munich, LMU, FU, KIT, Humboldt University of Berlin, RWTH Aachen University, University of Freiburg, Free University of Berlin and Technical University of Berlin are some options you should definitely consider. What are the rankings of the Top Universities in Germany for Indian Students? In the recent times, Germany has risen to top the ‘study-abroad’ charts, giving tough competition to the veterans USA, Canada and UK. As for those who pursue study in Germany find it an ideal country to be in, all credits to the rich culture and warmth of the people, world-class facilities for education and the ever-increasing scope for multinational companies in terms of employment. Why Study in Europe over the USA? You’d be surprised to know that a majority of the student base in German universities, comprises to international students. Over 400 German universities and colleges offer undergraduate and postgraduate programs, including academic, research and technical courses. Therefore, there are technical colleges or Hochschule for the study of science, technology, and engineering, applied sciences colleges for applied social sciences and humanities courses and liberal and fine arts colleges. As far as the undergraduate courses are concerned, these courses last up to four years. Next, the postgraduate courses last for two years and the Ph.D. courses last for three academic years. The Technical University of Munich is a research-based and entrepreneurial-oriented public university. It is one of the most recognized German institutions for technology. It is ranked 41 as per Times Higher Education, 64 in QS, 80 in Best Global Universities and 64 in Shanghai Jiao Tong University rankings. It has eight departments and five faculties, which are General Sciences, Structural Engineering, Mechanical Engineering, Agriculture and Brewing. It has 528 professors, 9,846 staff members and three campuses across Germany. Commonly known as the University of Munich, LMU is a public research university. It is the second largest university in Germany and has schooled several noble laureates. In fact, it has been referred to as the ‘elite university’ of Germany, that offers over 100 major and minor study courses. It is ranked 34 as per Times Higher Education, 66 in QS, 40 in Best Global Universities and 57 in Shanghai Jiao Tong University rankings. Karlsruhe Institute of Technology or KIT is one of the largest public universities for research and education. It is ranked 133 as per Times Higher Education, 107th in QS, 167 in Best Global Universities and 201 in Shanghai Jiao Tong University rankings. The engineering, computer science and natural sciences courses at KIT have received a lot of recognition locally as well as globally. KIT graduates have been known entrepreneurs, investors and noble laureates. Humboldt University of Berlin is one of the oldest universities in Berlin. In addition, it is also known as the ‘mother of modern universities’ in Germany and Europe, by large. It offers courses in 189 courses and has over 9 faculty schools. Courses in arts, humanities, natural sciences,etc have been immensely popular among the students. It is ranked 62 as per Times Higher Education, 120 in QS and 87 in Best Global Universities rankings. Free University of Berlin or FU, is a public research university. It is known for its study programs in the field of social sciences, natural sciences, life sciences, and humanities. FU is also one among the elite universities of Germany. It has 12 departments, 7 graduate schools and 4 clusters of excellence. It is ranked 88 as per Times Higher Education, 125 in QS and 112 in Best Global Universities rankings. How to Study in Germany for Free? RWTH AU is the largest technical university in Germany. Despite over 140 study programs and 44,000 students, it also inhabits over 7,000 international students each year. It is ranked 79 as per Times Higher Education, 141 in QS, 167 in Best Global Universities and 201 in Shanghai Jiao Tong University rankings. It is highly popular for its engineering courses, be it mechanical, chemical or electrical engineering. In addition, it features in the Top 15 QS Rankings for Mechanical Engineering courses. Officially named as the Technical University of Berlin, this public research university is a mega-hit among the international students. With over 20% of the student population from abroad, since the year 2016, it is also the largest and most-recognized institution in Germany. In fact, it has been selected to be a part of the Top Industrial Managers in Europe. The most sought after courses here are Mechanical Engineering and Engineering Management. It is ranked 92 as per Times Higher Education, 144 in QS, 296 in Best Global Universities and 401 in Shanghai Jiao Tong University rankings. What are the Other Top Universities for Study in Germany? Universität Stuttgart or the University of Stuttgart. Read here for Reviews, Ratings and Application Fee. What is the cost to Study in Germany? One interesting fact that attracts the majority of international students to Germany is the concept of ‘free education’. It is commonly asked, How to Study in Germany for Free? What are the Free courses in Germany? The answer to this is, No, the education in Germany is not absolutely free. But the high-percentage tuition fee for undergraduate courses, for both domestic and international student,s have been removed. This means, now the applicants for UG courses have to only pay a minimal of administration and semester costs. All the living expenses are of course the duty of the students to arrange and pay for. 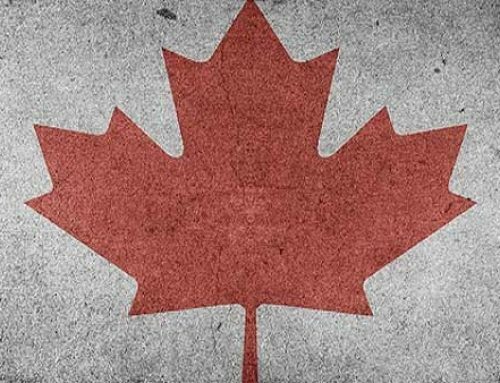 However, the removal of tuition fee, which can range from $ 3,00 to a whooping $ 34,000 in the US and Canadian universities, has benefited a lot of international students. Then, there are scholarships of course. Thus, a student with a great academic record can manage to get an almost free education in Germany, provided he makes the best of the university costs and receives a scholarship too. The cost of education in Germany is comprised of tuition fee, semester contribution, stationery, health insurance and living expenses. How to Afford Studies Abroad? How to apply for the Bachelor Programs in Germany? Germany is known as the place where there are ideas. Acknowledged worldwide for its scholarly perfection, the nation has seen an unfaltering ascent in International Student Community. Indian students have added impressively to that pool, particularly students for specialized education (read engineering). Germany positions top as a favored goal for undergraduate courses in engineering. The motivations to ponder in Germany are numerous and the odds are that is you have settled on seeking after your bachelors from Germany, you would need to realize that fundamental structure, system and documentation trail and we attempt to clarify the equivalent for you. What is the structure of degree programs in Germany? Much like India, German under-advanced education courses are famously isolated under the Bachelors of Arts (B.A. ), Bachelors of Science (B.Sc.) and Bachelors of Engineering (B.Eng.). These courses, contingent upon the subject and nature of the course, are of 3 to 4 years in duration. There are particular colleges called the Technical Universities (abbr. TU) offering research-based courses. These are normally colleges for advanced education and offer doctoral projects. For single guy programs, there are Universities of Applied Sciences (Fachhochschulen, abbr. FH) which are fundamentally practice based colleges and also Universities for Arts and Languages. These colleges consolidated offer courses in engineering, business organization, sociologies, and plan. One more class of colleges in Germany offer courses in subjects like prescription, veterinary sciences, dentistry, and drug store. What is the cost of undergraduate courses in Germany? Colleges in Germany are of two general classifications – Public and Private Universities. According to the new arrangement, every single state-funded college, are commanded to offer free under-graduate courses. What is infers is that there is no educational cost charge for an undergraduate course in Germany. The equivalent anyway isn’t appropriate to postgraduate/doctoral certificate courses. Aside from the educational cost expense, be that as it may, there is a semester charge which may be appropriate for the students for the two bachelors and experts programs. This changes from university to university. What is the Scholarly Term and Admission Cycle in Germany? The Academic Term in Germany is isolated into two semesters – the winter and the late spring semester. The Winter Semester begins from October and finishes in March. The Summer Semester begins from April and closures by September. Admissions to this semester more often than not begin the half-year ahead of time. The application procedure for the Winter Semester begins for the most part by early May and near to July 15 of that year. The notice of affirmation is sent by August or early September. For the Summer Semester, the application procedure begins from Early December with the last date for applications for the most part being January fifteenth of the year. The outcome for the Summer Term would be shared by February/March as it is. What is the Qualification Criteria for studying in Germany? 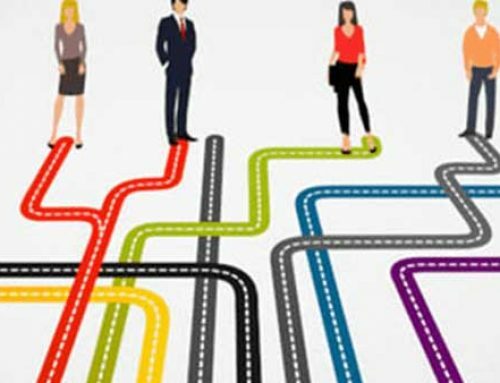 Diverse Universities in Germany have shifted qualification model for their undergraduate courses. While some may expect you to embrace a Preparatory (Studienkolleg) Course, a couple of courses have proportional qualification confirmations that would coordinate your capabilities/necessities and appropriately affirm your candidature. As it were, in the event that you have finished one year of Mechanical Engineering from a perceived university in India, you can apply for a Mechanical Engineering course in Germany. Same applies for a B.Sc in Physics, and so on. On the other hand, you are additionally qualified for applying for a degree course in a subject you have cleared the Feststellungsprüfung in. Read more about the qualification for undergraduate examines in Germany. It is essential to take note of that while a few colleges may mark a course under Humanities, the other may name it under sociologies. It is consequently fitting to get the illumination of the preliminary course from the university itself. What are the Requirements to Study in Germany for Indian Students? After you have chosen your desired university in Germany, you need to check for the requirements, which differ from course to course and university to university. 1. Higher Education Qualification or the Houchschuluzugangsberechtigung (HZB): This is essentially a certificate or school-leaving qualification, that validates your readiness for higher education. So, it is a proof of your completion of secondary school. Since foreign students in Germany come from different schools and institutions, you need to check the format requirements as per your university. Make sure you check with the DAAD Database for Entry requirements, so that you know if or not your qualification is recognized there or not. 2. Foundation Course or Higher Education Qualification Entrance Exam: This is generally in the case where the higher education qualification is not recognized by German Academic Exchange Service or DAAD. Therefore, in that case, the applicant needs to give the higher education qualification entrance exam in order to proceed with the application process. 4. Language Skills: Deutsche Sprachprüfung für den Hochschulzugang (DSH) along with International English Language Testing System (IELTS) is the German and English language tests that you need to give in order to study in Germany. The DSH is mostly required in cases, where the mode of instruction for the course in German. This is because most courses in German universities have both German and English as their mode of instruction. Here’s a useful resource that can help you learn the German language: Learn German. 5. Test for Foreign Students: There is a test called as the TestAS, which is an aptitude test for admission into the German universities. 6. Finances: If you wish to study in Germany, then you need to show financial strength worth at least US $722-800 per month, in order to support your living costs and expenses. Living costs vary from location to location. For example, living in Munich, Berlin and Frankfurt will cost you more than any other place in Germany. 7. Health Insurance: To seek admission, a health insurance, either from India that covers Germany too or one from Germany itself is mandatory. Generally, the European Health Insurance Card (EHIC) is to obtain German health insurance services for free. 8. Visa: On the basis of the country you are from, it is decided whether you just need a residence permit or a combination of a study visa and a residence permit. A study course for over 90 days requires a National Visa. Read How to Apply for Visa in Germany. Along with this, a residence permit on arrival will also be needed. 9. Residence Permit: When you have reached Germany, then within two weeks of your arrival, you need to register with the Alien Registration Office. Then, from here you can apply for a residence permit against your study visa. To sum up, for all those willing to pursue higher education abroad in after 12th, Germany is one of the best available options. With universities with leading world ranks both overall and in terms of specific subjects, a wide range of courses, affordable expenses and visa system, Germany has a lot to offer to international students in the search for education and work opportunities. What is the structure of Postgraduate courses in Germany? Like the UG Course structure, the PG courses are additionally isolated among two semesters – the Winter Semester which begins in October and the Summer Semester, which begins in May. It is critical to note here that however, it’s anything but a standard, yet a large portion of the PG courses in Germany just have Winter Intakes. As it were, the PG courses normally begin in the long stretch of October. The other thing vital to comprehend with respect to the structure of the PG courses is that sorts of colleges that offer the courses. Colleges (counting Universities of Technology, abbr. TU) which are essentially explore based establishments. These are the colleges that can grant a doctorate qualification. Colleges of Applied Sciences (Fachhochschulen, abbr. FH), which don’t have the privilege to grant a doctorate. These are essentially colleges that offer more practice arranged courses which incorporate engineering, business organization, sociologies or potentially structure. The alumni from these colleges, in any case, on a fundamental level qualified for applying for a doctoral program. The International Programs, which are basically English shown programs, structured uniquely to take into account the International Community. These projects have grown undauntedly over the previous decade, to additionally pull in the best personalities from over the globe. The German Taught Programs. These projects are not constrained to German students and a large portion of the colleges would offer you a seat in the equivalent. The reason they are accordingly ordered is basic – these are programs instructed in German dialect and require a fairly abnormal state of capability in the dialect. Colleges in Germany are regularly supported by the state however not really controlled by it. As it were, Universities in Germany have a privilege to choose their own qualification criteria and cut off. Each university, thus, may have some remarkable qualification criteria and it is constantly advisable to check with the university office for the explicit program’s qualification criteria. Talking comprehensively, for an ace’s program in Germany, you would need finished what might be compared to a four year certification in the pertinent subjects. Which means, a multi year engineering certificate from any perceived Indian University makes you qualified to apply for a MS qualification in engineering/structure/subject from a German University. A portion of the colleges would likewise acknowledge a multi year degree. For this, it is in every case better to connect specifically to the university’s international affirmations office and get your degree perceived. How to apply for MBA/MS in Germany? Aside from the fundamental prerequisite, the colleges may likewise expect you to have cleared and scored a specific dimension in GMAT/GRE. Correspondingly, for International Courses, IELTS/TOEFL would be a necessity and may likewise require an essential information of German dialect. For German Taught Programs, a fairly abnormal state of capability in the dialect is required and you can appropriately take a TestDAF/DSH to be qualified for the equivalent. Once more, dependably check with the University for the Tests required to apply to your preferred course. What is the Application Process for Postgraduate courses in Germany? Comprehend whether the university is an individual from Uni-Assist; on the off chance that it is a part, apply by means of Uni Assist, or else apply straightforwardly to the university. The affirmations for Winter Semesters more often than not begin in the long stretch of February and closes by May. The colleges thusly affirm confirmations by early July, giving you enough time for Visa Processing. Note that you would need to demonstrate confirmation of assets for at any rate the main year of concentrate for your German Student Visa. In like manner, it is advisable to set up the equivalent close by your applications. What is the Educational cost and different expenses for postgraduate courses in Germany? Education in Germany is moderately less expensive than other European urban areas. The greater part of the state-financed colleges do offer complimentary advanced education programs. Some exceedingly particular courses, be that as it may, might draw in charges. Once more, however redundant, but rather extensively, MBA programs in Germany are paid projects. Aside from the educational cost expense, you would be required to pay the semester charge which may shift from €50 – €250, contingent upon the course/university. Living in Germany, then again, is at standard with the greater part of the European urban communities and the average cost for basic items in Germany is around €700 – €1000 every month. There are heaps of grant programs accessible for seeking after Higher Education in Germany too. Read about them, discover a program that suits your program decision and apply. After your Master’s program, you are allowed to remain on in Germany for a year and a half to search for important work in the picked field. In the event that you land a position, it is generally simple to get the visa. You may likewise have a chance to apply for and get conceded in an industry upheld investigate the program. What are the Scholarships for Germany for International Students 2019? 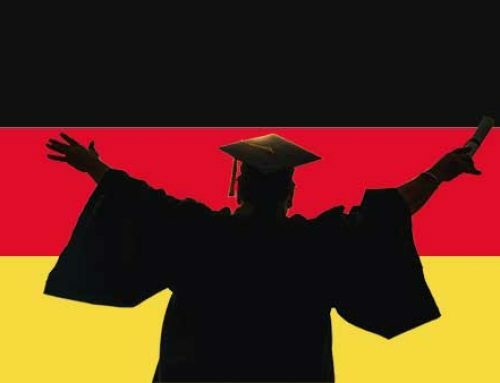 For all those willing to pursue higher education abroad in after 12th, Germany is one of the best available options. With universities with leading world ranks both overall and in terms of specific subjects, a wide range of courses, affordable expenses, and visa system, Germany has a lot to offer to international students in the search for education and work opportunities.